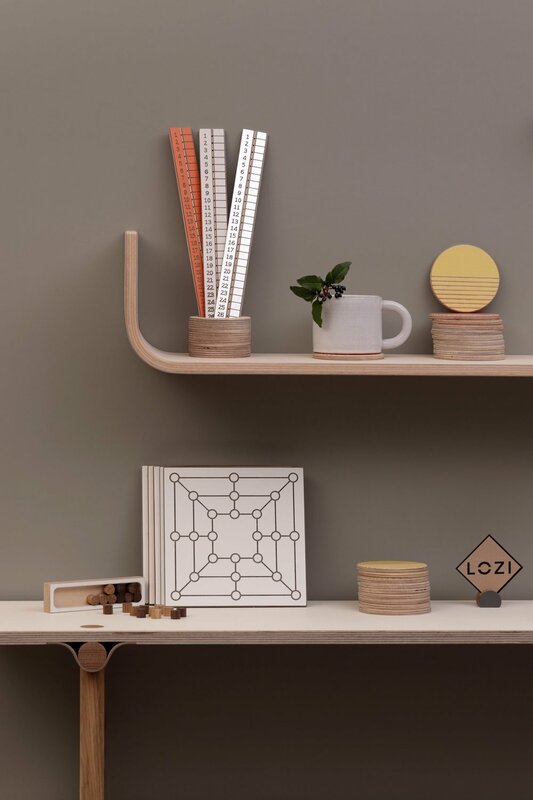 The makers at Lozi work tirelessly to reduce our waste, minimise our environmental footprint and use nothing but the eco-friendliest materials available. Though our waste was already lower than the industry average, we were not satisfied. That is why we came up with the £9.99 collection. A beautiful, practical and ethical collection of small products, all made by repurposing our offcuts and materials wasted during production. The full collection of £9.99 products! The challenges our eco system is currently faced with made us reconsider our approach to waste and how wasteful our daily lives are deliberately designed to be. This collection aims to challenge our approach to waste, viewing it as full of beauty and potential rather than disposable and unnecessary. By imagining creative ways to re-use and re purpose it, we can further minimise our impact on the environment and reasses our daily consumption in the process. These clever pieces are designed to be elegant objects, useful in everyday life. The same care, quality and attention to detail expected from a larger Lozi piece can be found in this collection, giving a new lease of life to materials that would otherwise have been thrown away. 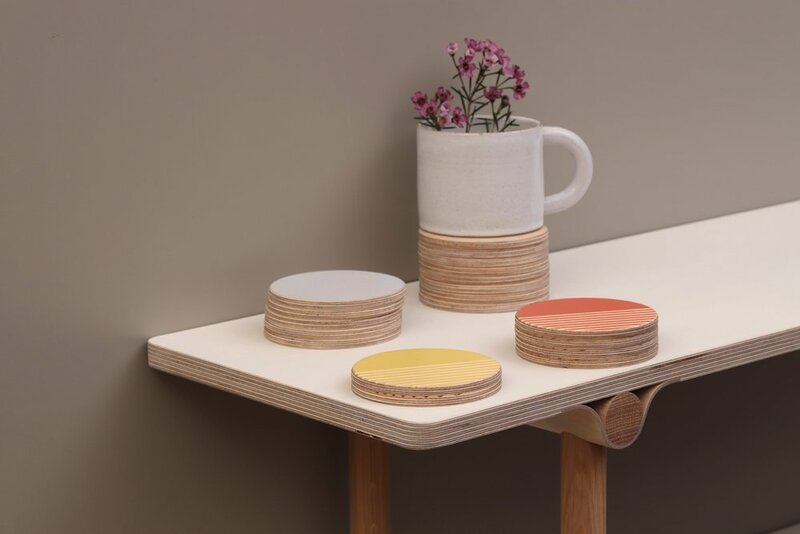 Coasters: A set of 4 circular coasters made from painted plywood and recycled yogurt pot plastic. Wall Flower: made from plywood and a glass test tube, it can be fixed to a fridge with a small magnet to display plants. Magic Ruler: A plywood ruler that also doubles as a compass. Easy Handle: A curved plywood handle designed to protect the palm of your hand when carrying heavy bags. Mini Plant Pot: A small plywood plant pot for cacti and succulents. Picture Click: Two pairs of magnetic solid oak pieces. Can be used as a pair to display photos or individually as a fridge magnet. Candle holder: Elegant plywood candle stick that fits a tall candle. Morabaraba Game: A clever game board with playing pieces originating from Africa. Coat Hook: Modern and elegant curved plywood coat hooks. Modern design needn't cost the earth with Lozi's repurposed waste materials collection, the £9.99 collection. Discover all the products from Lozi's £9.99 online and in store.